A-1 Precision Car Care has a very good service of car wash. I recently hired them for a car wash along with automotive detailing. Their service seriously blew my mind. The made the car look new after the servicing. I am really happy with their services. I highly recommend A-1 Precision for your car. Worst experience ever. Left over wax on the plastic parts of my truck and slingshot very disappointing job. Went back so they could fix the issuesss and the idiot in the back just walked away and told me thats not is problem. DO NOT GO THERE. DO NOT GO THERE. 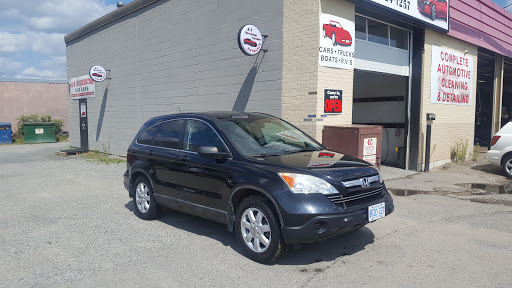 Great place to get your car looking brand new just brought my escape today. It was filthy with dog hair and saliva, dirt and salt residue they got it all out and looking new again. Great service, great people and exceptional service. I would never go back. They dont understand customer service and a few things ended up disappearing from my vehicle. Also, my seats were still wet when I picked it up. Just dont. Hi i have had many vehicles cleaned and detailed by A-1 Precision car care. The best by far in Sudbury and highly recommended. Best Car Detailing Shop In Sudbury! Totally gets your car back to BRAND NEW!! !